Rosa 'Slim Dusty' is a Floribunda Rose released to commemorate the life of the Australian Icon and Country Music Legend, Slim Dusty. 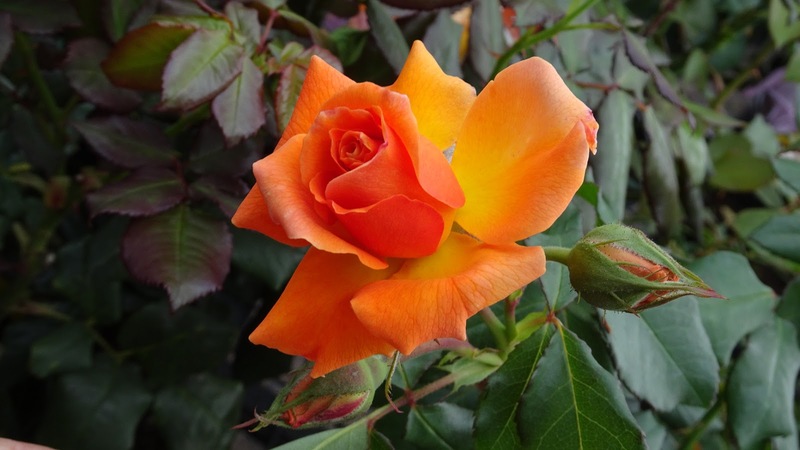 This rose was released in Australia by Landsdale Rose Gardens and part of the proceeds from the sale of this rose will go towards the development of the Slim Dusty Centre in Kempsey, NSW, Slim’s home town. The Slim Dusty Rose is rich golden coppery orange – a colour reminiscent of the Australian outback. The flowers are carried on strong-stemmed clusters and produced in massive profusion throughout the flowering season. The bloom possess an old fashioned tea rose fragrance. The bush is very compact to a height of around one metre and a group planting or rose hedge would make a stunning, eye-catching border of the rose garden. Nick, what a colorful rose. Thanks for sharing. It would nice to have such a pretty flower named for you. What a delightful rose! Perfect colour and fragrant too!